The biggest mistake that the majority of casino players make is poor bankroll management and it’s something that can make or break your casino experience. If you feel like you’re constantly depositing and never winning – or even breaking even – it’s likely not the games you’re playing, but how you’re playing them. If there’s one thing that pro casino players understand, it’s the importance of bankroll management and these 5 tips will have you set on the path to success. Successful bankroll management means putting a limit on how much of your bankroll you’re willing to sacrifice during a losing streak. Losing streaks are an expected occurrence when playing at an online casino, but efficient bankroll management will make all the difference. When setting up your bankroll, it’s important that you take a realistic look at your current lifestyle and set aside only what you can afford to part with. Once you’ve set aside a specific amount of money which is earmarked as your online casino bankroll, it’s important that you never deviate from this amount. If you’re paid on a monthly basis, your bankroll needs to last the entire month until you receive your next salary and you should never find yourself in the situation where you are relying upon a casino win in order to get by. It therefore goes without saying that you should never chase losses on online pokies NZ or any other casino game. Seeing as your bankroll has to last for a set amount of time, you’ll need to calculate how many wagers you’ll be able to place within the confines of your bankroll. For example, if your bankroll is $100 and you want to play at least once a week, you will not be able to spend more than $25 in a single session. With regards to bet size, you should only ever bet 2-3% of your total bankroll, so if you’ve allocated $25 for a single session, you should ideally be betting $0.50. While pro online casino players know that you can’t win big without betting big, they are also well-aware of the fact that making a bet large enough to wipe out your entire bankroll is completely ill-advised. While you may decide to place a bet larger than 2-3% of your session allowance, if it doesn’t pay off, you’ll have to accept that the loss will have to come out of your next session allowance. There is a major difference between luck and strategy and pro online casino players know this all too well. 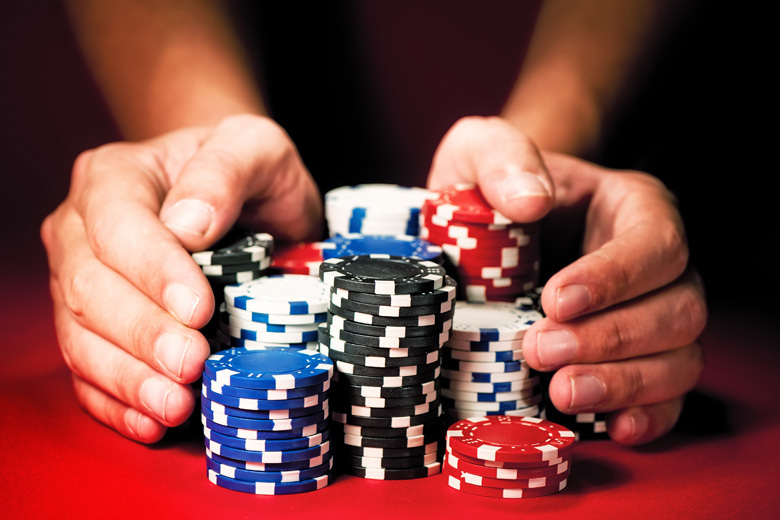 While luck is a major factor in determining whether you’ll win or lose, games such as blackjack or poker require a certain amount of strategy as well. If you’re just getting started with strategy games, be sure to do plenty of research ahead of hitting the tables.